Labour unions in Sokoto State have backed Governor Aminu Tambuwal for a second term as governor of the state. The unions endorsed the candidate of the Peoples Democratic Party in the state during an interactive session he held with labour leaders and workers in Sokoto on Friday. The unions included the United Labour Congress, Trade union Congress, National Union of Pensioners, National Union of Teachers, Medical and Health Workers Union, National Road Transport Workers and Association of Motorcycles Operators. The state NLC Chairman, Umar Aminu, said the Tambuwal administration was the most worker- friendly in the history of the state. He commended the governor for the prompt payment of salaries and pensions. He said, “We have about 60,000 workers in the state but the governor has never thought of reducing the number of workers. However, Aminu urged the workers in the state to pay the governor back by voting him in the March 2. governship election. 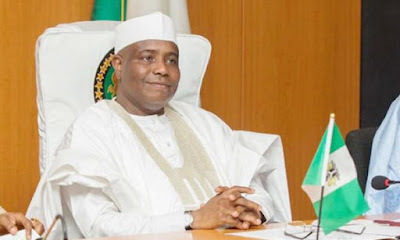 Tambuwal reassured workers in the state that he would pay the new minimum wage approved by the National Economic Council.